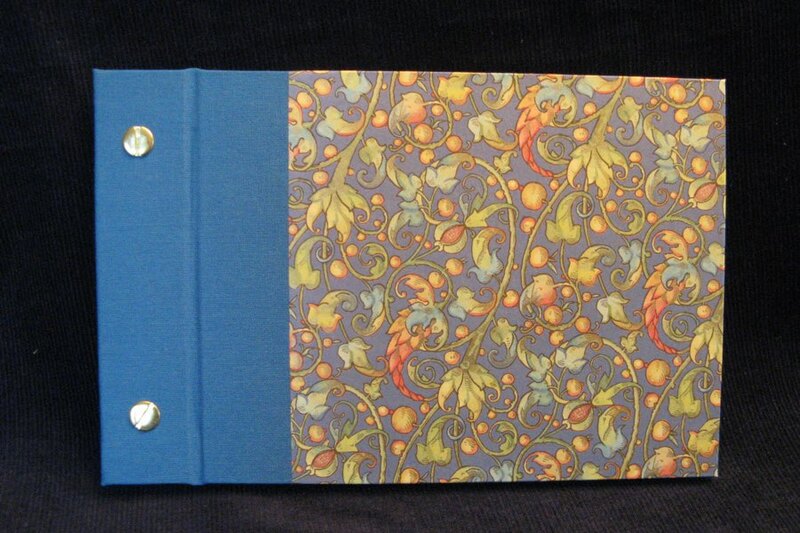 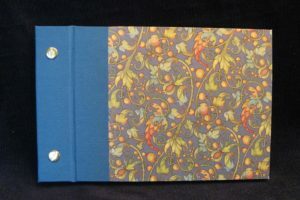 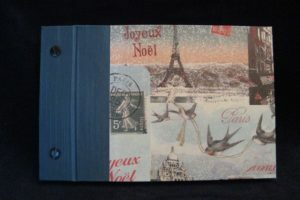 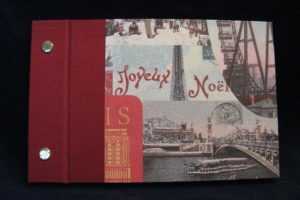 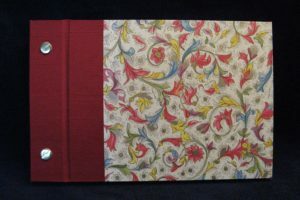 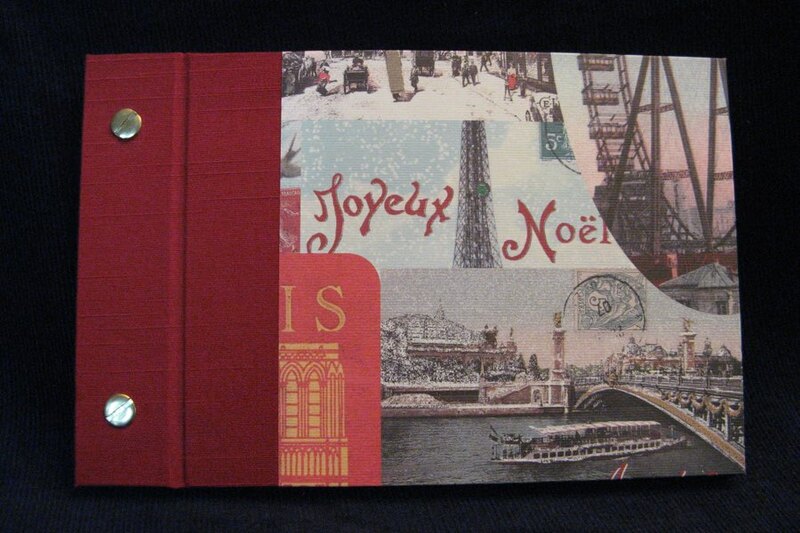 This method of binding is ideal for photo albums and scrapbooks. 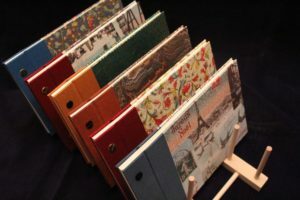 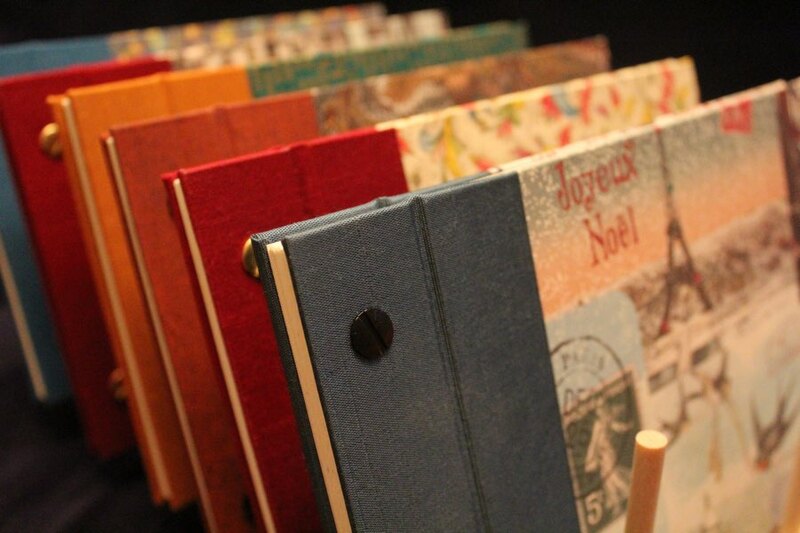 The sturdy, bookcloth-hinged cover on screw-post books folds back, allowing for easy placement, or viewing, of photos. The inner papers are a heavier, acid-free 60 lb. 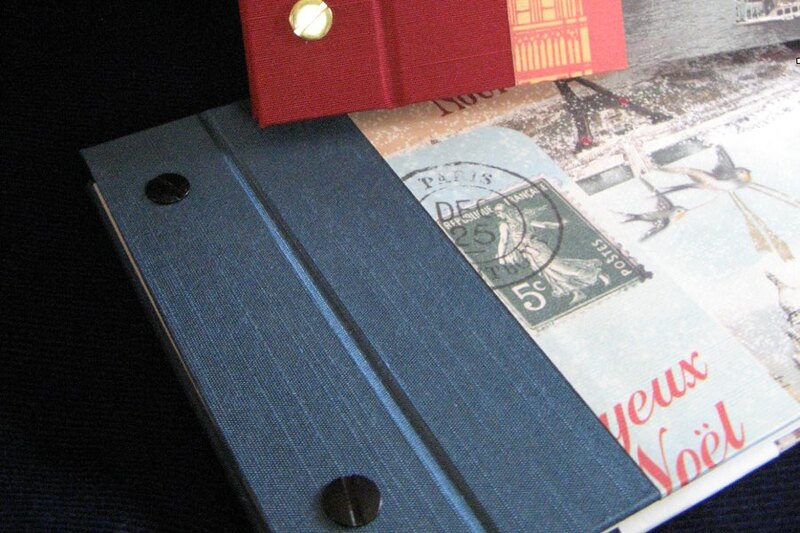 weight paper. 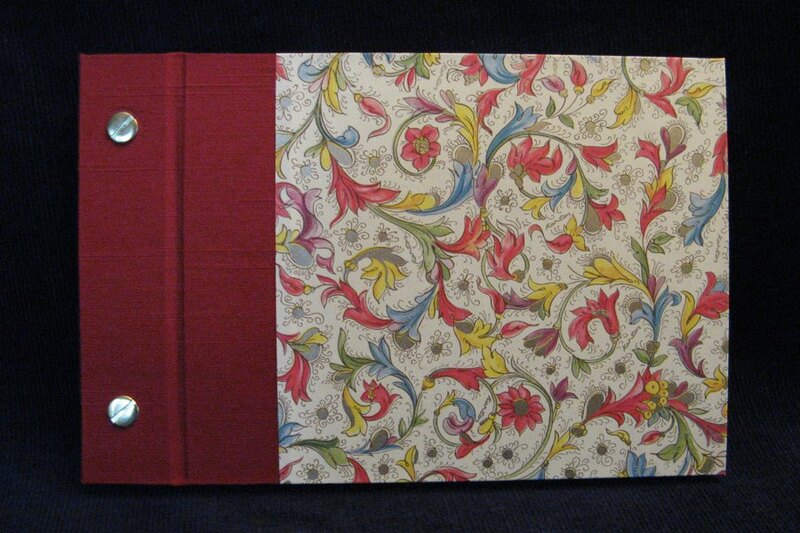 There are spacers in the spine, so that the book will will not bulge when photos, or momentos, are added.